Hot tubs are trending – people on holiday with time on their hands love to soak and relax in a tub whilst being massaged by jets of water. Holiday accommodation owners like to provide what people want so you can now find a hot tub or outdoor spa the length and breadth of England, in the back gardens of country cottages, pine lodges, farmhouses and seaside chalets. 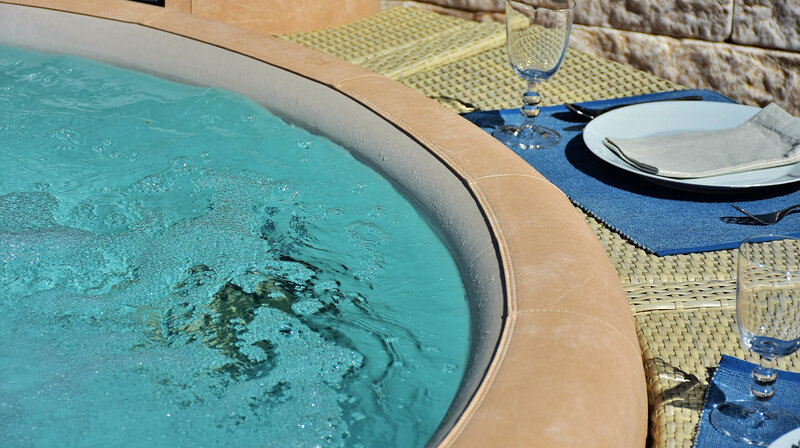 It’s not that holidaymakers want to spend all day sitting in the Jacuzzi but they do come into their own if you just want to chill or, if on holiday with a group of people, it becomes another place to sit and chat. Even if you just go on holiday with family, it can be very pleasant to have a hot tub in the garden, a BBQ to cook a few burgers and sausages and garden furniture that you can all get around to enjoy a lazy lunch. When you have a private hot tub on holiday, exclusively for you, it can also be most enjoyable to bubble away in the evening, after dark, when the stars are out and your hot tub glows with changing coloured lights. Holidays are meant to be enjoyable, so if an outdoor spa floats your boat, make that a priority on your wish list.